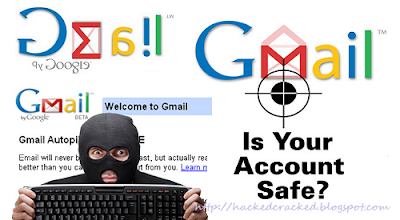 Are you worried about security of your gmail account? Thus there is need of something else the password . Ok. What if google gives you an unique password each time you make a new Login through SMS/Voice Call on your number? Yes, its possible. 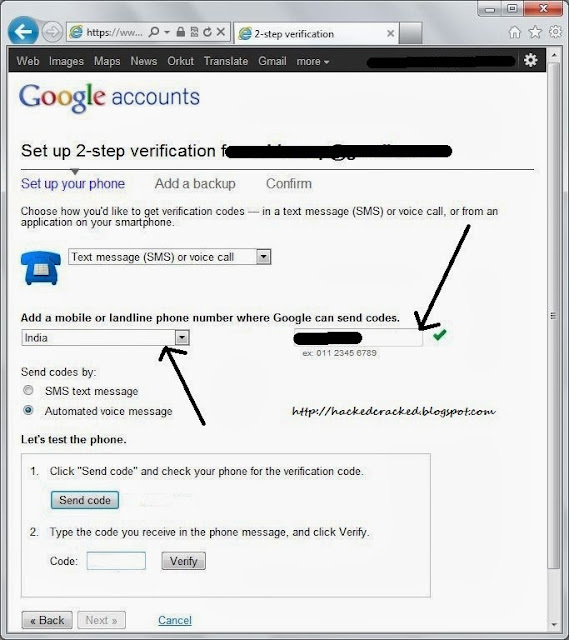 By using "2 Step Verification" system of google accounts, google will provide you a new pass code to you on your cell phone each time you try to login besides your Regular Password. When you will try to login with your USERNAME and PASSWORD, google will instantly make a call or sms (as per your setup) and wil give you One More Password, and after enterintg that password, your login will be authonticated. DONT WORRY. You have To do this "2 STEP Verification" once every 30days for each PC you use to login, its not a daily necessity. Go to login page and enter your username and password as usual. After step 1, you will receive a 5digit code from google through sms or call., you will have to enter it on the next page. And you have made a secure login. 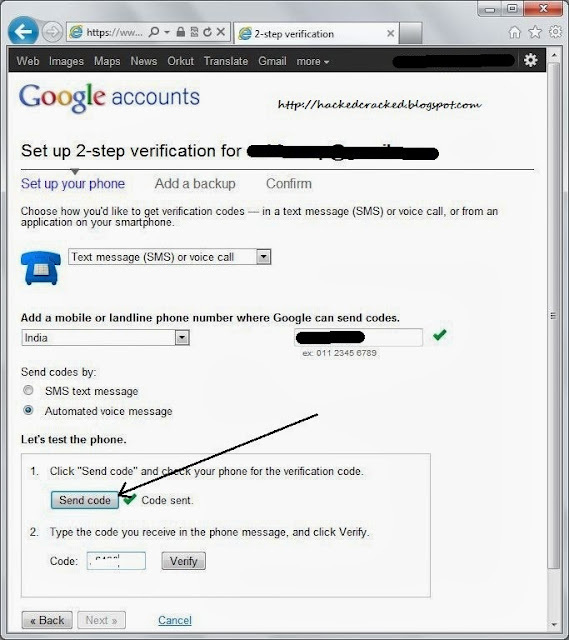 For this,you need to turn on "Two Step Verification" for your google account. STEP 1. Go to Google Accounts and login as usual. Now select the option "Using 2-step verification". STEP 2. Select start setup. STEP 3. Select your desired method for receiving the password, i prefer using "Text Message (SMS) or Voice Call" option, and this tutorial is for the same. STEP 4. Now select your country, enter your mobile number and select the means of receiving the password i.e. via text sms or voice call. STEP 5. Now click on "Send Code". You will receive the sample verification code on your number, enter the code,select verify and press "Next". STEP 6. Now your number is verified, now proceeding for the backup options in case you loose your phone number. Click "Next". STEP 7. Now google will provide you 10 backup codes. These codes can be used in case your phone is not with you or you have lost it. STEP 8. What if you loose those 10 codes too? Dont worry, google provides one more rescue option. Enter the mobile number of some trusted person. Google will send the recovery code on that number in case you loose access to your one and the codes too. This is similar to password recovery email or secondary email. STEP 9. Now one more thing to keep in mind is that if you are using some mobile phone apps like email synchronisation apps, or apps like snaptu or other similar java applications, they actually are not designed to receive the password in two steps. So google will generate a special password for those apps in further steps. Well click Next to proceed. STEP 10. Now click on "Turn on 2-step verification" to complete the whole process. You will be logged out, and the login screen will appear. Now you can make your first "2-step verification" login. STEP 11. Now this is the step where you will get some google generated pasword for mobile apps, click "Create Password" to continue. STEP 12. Now enter some name for the app or the phone (it doesnt matters what name you choose), and click generate. STEP 13. Now you will get a special password which you may need to login with mobile apps, you can regenerate it whenever you want. If You Have Any Questions, Feel Free To Post A Comment.